The long-running social hangout, Habbo, is reaching its 15th anniversary on August 15th and developers Sulake today announced a series of exciting events to celebrate. 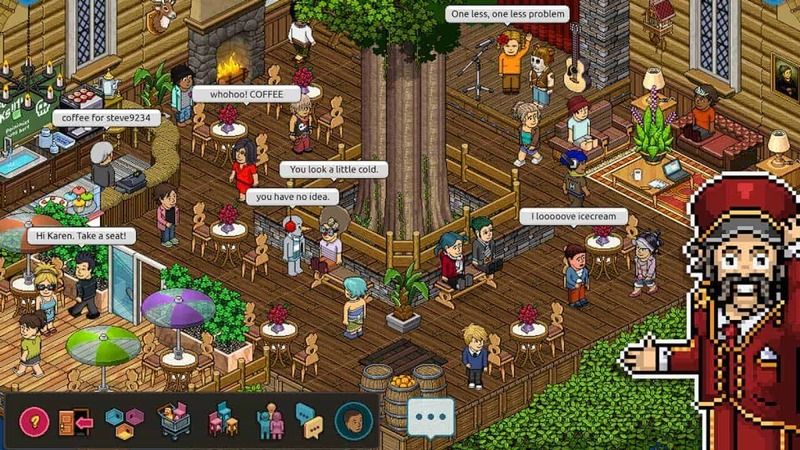 Originally known as Habbo Hotel, the cutesy social MMO was created for a Finnish Music Band but grew and evolved beyond all expectations, rapidly becoming an iconic MMO social experience for an entire generation of online gamers. A series of contests and prizes have been planned to celebrate its 15th anniversary, with the developers main goal to honor the players and community that helped the game thrive for so many years. Players that excel at showcasing their abilities, skill and imagination within the Habbo Hotel will be immortalized in a new Hall of Fame that will release later today. Five contests will be held over five weeks with the winners being forever immortalized with an in-game statue to commemorate their victory. All players will also receive a free in-game gift for each day they log in between now and August 15th, as a thank you for the support they’ve given the game over the years. A staggering pool of 15 million items have been set aside for the celebration – making it the largest the game has seen to date.